Everyone likes big things, and Aussies are no exceptions. They love big things so much, in fact, that they have sprinkled them throughout the country to liven up any Australia road trip. What kinds of things are they, one might want to know, and how big? Well, they are huge - and they include everything from appliances to food to animals to cultural phenomena. Some are sculptures, some are buildings, and some are just an excuse to stop and take a photo. Whatever they are, we can assure you that they’ll add depth to your Australian experience - and raise many interesting questions when you show the pictures to everyone back home. The best way to see these fabulous tourist highlights is under your own steam. There’s nothing like a road trip, especially one which includes such amazing sights as a Big Bowl or a Big Rabbit Trap. Pick up an Australia car rental from Sydney, Brisbane, Melbourne, Perth or another major city, check our list for big things near you, and you’ll be on your way to experience kitsch like you’ve never experienced it before. Did I say kitsch? I meant culture. 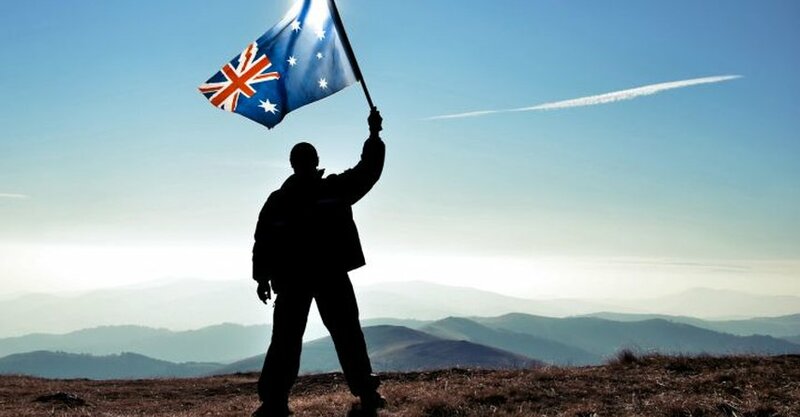 The list of big things in Australia is always in flux, as small things grow to be bigger things and join the hallowed ranks while others are sadly retired to that big things farm in the sky, but it is estimated that there are more than 150 of them darkening horizons all over the country. Unless you have several weeks to spare, you likely won’t be able to see them all, so here are the best of the best to plug into your road trip itinerary. Some might require a bit of a detour, but that’s the beauty of a self-drive holiday - no oversized reptile or enormous piece of sports equipment need go unseen, because you are in control. Don’t go to the United States for a road trip, pick Australia instead. The US has just one Big Apple, while the Land Down Under boasts at least five, and therefore they make our list for sheer abundance. Almost any Aussie experience can include the unmissable Big Apple encounter. In New South Wales, you can visit these fine examples of gigantic fruit in Batlow near Canberra, or at Yerrinbool just 1.5 hours south of Sydney. In Queensland, a fine red specimen stands at Thulimbah, inland from the Gold Coast, and in Tasmania you have the opportunity to gaze upon a conveniently labelled (in case you miss it) Big Apple in Spreyton near Devonport. 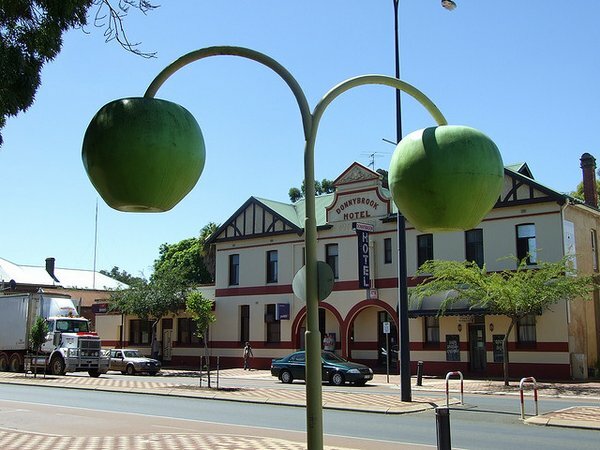 Donnybrook in Western Australia boasts some luscious Granny Smiths. If you've spent any time around young Australian women, you’ll know that Ugg Boots, footwear finely crafted from sheepskin, are an important facet of the culture. Having sparked a thousand knockoffs, this company founded by a young Australian surfer is a roaring success, and certainly deserved a “big thing” in recognition. You can visit the Big Uggs outside Mortels Sheepskin Factory in Thornton, New South Wales - not far outside of Newcastle. Pop in and buy a pair of your own in a smaller size, or head straight into the Hunter Valley and visit New South Wales’ renowned wine region. This one is included in the list for feel-good factor. Who could drive past a giant hand giving the internationally-recognised “thumbs up” signal without feeling uplifted? There’s even a sign above it wishing “G’day, Mate” to passing travelers in a show of true-blue Australian friendliness. You can get your own giant gesture of approval in Scottsdale, Tasmania. The town is in the northeast, not far from Launceston and George Town. It also boasts some wonderful heritage buildings and is a centre for the rich agriculture in the region. Don't forget to check out other popular Tassie hotspots including Hobart and Launceston for your Airport Car Hire. It’s something we don't like to mention in polite company, but you can’t deny the feeling of relief when it happens. The average tourist could be forgiven for wondering why the residents of Kiama felt that a big poo best represented their town, but it’s no reason to avoid the place - the five-metre long sculpture is in fact an act of political protest and was commissioned by Member of Parliament Ian Cohen. A photo op for sure. Kiama is a coastal NSW town just a few hours south of Sydney, a great stop on a beachy journey and home to some other, albeit less impressive, attractions: wineries, the Kiama Blowhole, the Jamberoo Action Park and some great rainforest walking tracks. Most people have wondered what they’d find under a scotsman’s kilt. And if said scotsman is five metres tall, it’s all that much more likely to impress. 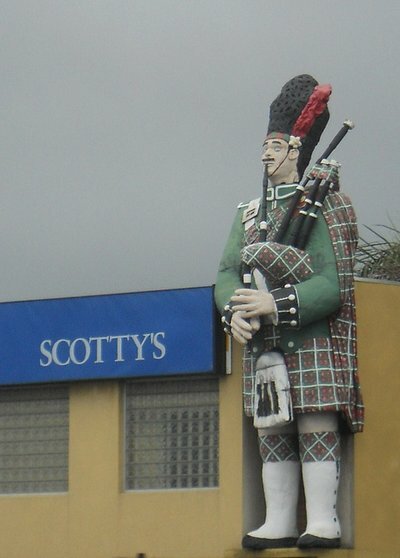 Complete with bagpipes, The Big Scotsman is a shoo-in for number five on our list and an obligatory roadside stop for those flying into South Australia. 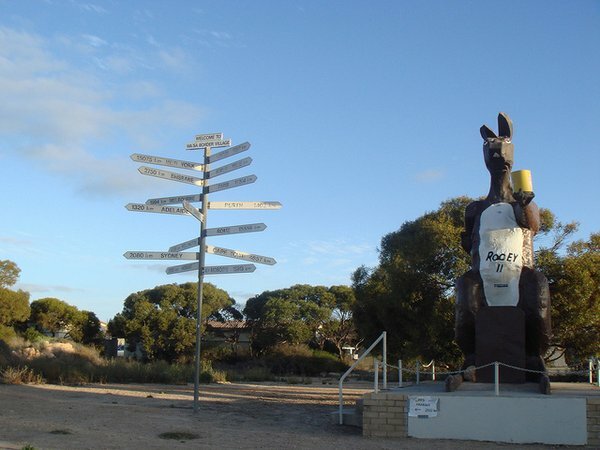 For the country’s most sizeable Celt, you needn’t even venture beyond the Adelaide city limits - “Scotty” is found outside Scotty’s motel in the suburb of Medindie and can be incorporated into a quick city break, or visited on the way out of town for a road trip in the gorgeous southern state. Book your Adelaide Airport Car Hire here to experience the big Scotsman. This one makes the list for its superlative nature; it is, in fact, the world’s BIGGEST deckchair! It’s authenticated in the Guinness Book of World Records, a must-see for any visitor to Queensland. Unfortunately, you can’t sit in it... and it won’t fit on the deck, either. But while you’re there, you can check out the Royal Open Air Theatre with a bevy of smaller deck chairs in which it is possible to watch movies under the stars. Winton is a stop on a real Outback adventure, located right in the middle of Queensland, two day’s drive from Brisbane. The area is full of friendly small towns - and keep a look out for more big things lurking. Why not venture on a bit further or start your Queensland roadtrip experience from Cairns, in Queenslands true heartland. Coffee addicts and road trippers are often one and the same, so if you’re in Melbourne the Big Coffee Maker is the iconic attraction for you. Imagine allowing that beany beacon to guide you through the streets in the morning until you arrive at your destination: Georges Gourmet Coffee. The coffee shop located on Victoria Street in the suburb of Brunswick is the proud owner of the massive stovetop-style espresso pot, as well as being a local favourite for their brews. You don’t even need to leave Melbourne with your Airport car hire for this one. However, we recommend you do just that once you’ve seen it, and make the city a starting point for the Great Ocean Road drive. Lots of people love prawns in general, but in Ballina, a lot of people love one specific prawn. This big thing has a place on the list for its heartwarming story of redemption after it was slated to be destroyed in 2009. The community rallied together to ensure it would stay - and at the last minute, Bunnings Hardware stepped in to save the day. 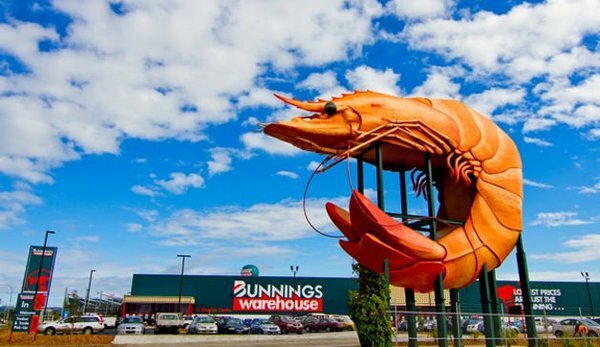 In 2013, the prawn was moved to a new site in the store’s parking lot and given a complete makeover to continue its proud watch over the seaside town. Ballina is in northern New South Wales, a natural stopping point on a road trip between Brisbane and Sydney. This is not just any normal big crocodile, the likes of which you’ll find in several towns in Queensland and Western Australia - those are a dime a dozen. This is a boxing crocodile, and it’s in the exquisitely-named town of Humpty Doo. If you’re in the Territory, there are no excuses for missing this croc which stands 6 metres tall outside the United fuel station. Perplexingly, it was made to celebrate Australia winning the America’s Cup in 1983 - a tidbit of information which raises more questions than it answers. You’ll be glad to know that it’s not too difficult to visit the boxing crocodile as part of a road trip in the Northern Territory, as Humpty Doo is not far from Darwin and on the way to the fabulous Kakadu National Park. We had to end on an iconic note. Also known as “Rooey II,” the giant marsupial is found in the Border Village between South Australia and Western Australia. It might not be the most controversial of the big things, nor the most visually stunning, biggest or oldest, but it does represent one of Australia’s most famed animals, and therefore deserves a spot on the top ten list. Border Village is one of the country’s smallest towns, essentially a service station on National Highway 1 where it hugs the southern coast. Those making the drive between Adelaide and Western Australia can stop there to fuel up and recharge for the journey. Now you are aware of the country’s most important cultural attractions, your holiday planning can begin. Get your Australia car rental sorted, brush up some driving tips and hit the road - don‘t forget a camera! There are a few other big things you might like to visit too: an Opera House, an Ayer’s Rock, an Outback. Up to you! These quirky sites not capture your interest? Head over the ditch to New Zealand and grab yourself an Airport Hire from Christchurch or an Auckland Airport car hire.